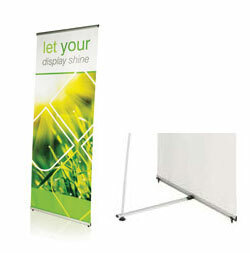 The prices illustrated above are based on the 800mm wide stand. All prices are from print ready files supplied and do not include delivery or VAT. Our most cost-effective tension banner, Lightning is the ideal solution for budget display and frequently changed messages. The Uno is a simple light-weight, yet stable range of tension banners. Uno is available in two widths at 800 or 1000mm wide. 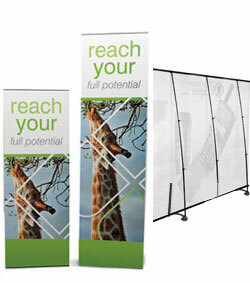 Each banner can be linked to another to create a wide-format graphic wall with simple fixings. Exactly what its name suggests. 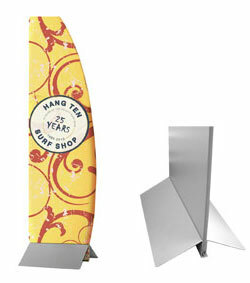 It holds a variety of rigid graphics in its robust steel holder, supporting a range of sizes and thicknesses. The Wedge has been designed for quality and usability as well as easy storage. The Pegasus is one of the largest format tension banners in the range making it ideal for exhibition environments and backdrops for presentations and branding. 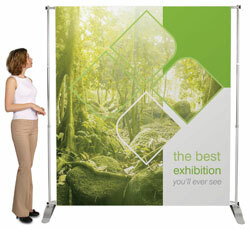 It is both height and width adjustable, making it flexible enough to fit all kinds of venue. As it is extremely lightweight and breaks down to fit in a small carry bag, it is very practical for portable display applications.